I am fasting for a medical test today and can do clear liquids. And everything looks so delicious--and I can't have it. 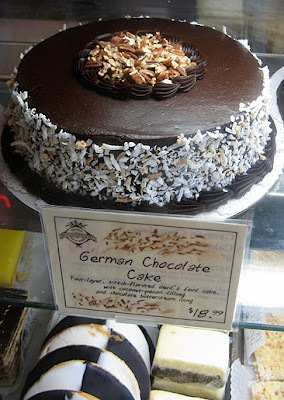 So, I figured I would post this cake picture from Ithaca Bakery last weekend as a little nod to how I am feeling. And cake is not what is top of the list...but neither is jello. I am looking forward to getting this experience done and putting this food fascination to rest. Did a bit of walking at the House of Health. Feeling more easy with the room of giants, the machines, the flailing arms and pumping legs. I love how quiet it is and that everyone is plugged in and going their own way. It is definitely each man is an island at Island. The Cornell rowers were out along with all sorts of flying waterfowl (mostly ducks but I saw something else that I had never seen). Dan Pelavin was very cute in his blog entry "Oh, now I get it"
. Worth taking a peek. It is another search for identity note. Had a nice time trolling for cosmos type engravings last night for the Solstice, Equinox, Eclipse illustrations on deck. As you can see, I dove deep into the Library of Congress with some interesting images. Not exactly what I was looking for...but, who cares. The journey was worth it. tons flying over the transom. Must go.